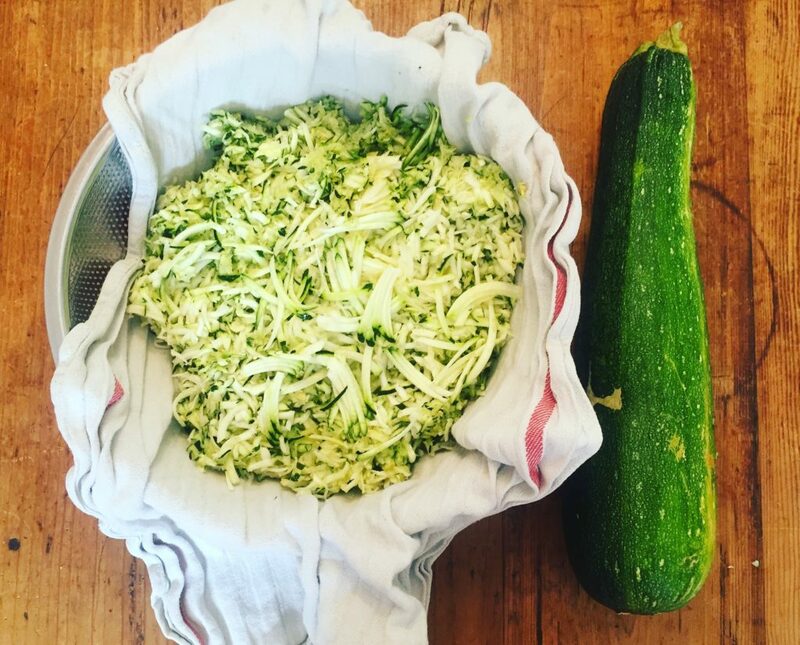 Every summer our garden overflows with zucchini (courgette) and we love to grill it, sauté it, put it in pasta salads, and more. But inevitably a few get forgotten about and grow to monster proportions! Enter: Zucchini Bread (courgette loaf)!! It is so easy to make, tastes great, the kids love it, it’s great for breakfast or a snack…. and this version is even nicer than the original because it’s lightened up and has some added protein! We’ve swapped the white sugar for maple syrup (or agave if you prefer), used wholewheat flour, added some Greek yogurt to keep it moist and reduce the oil… and well, the end product is absolutely scrumptious! 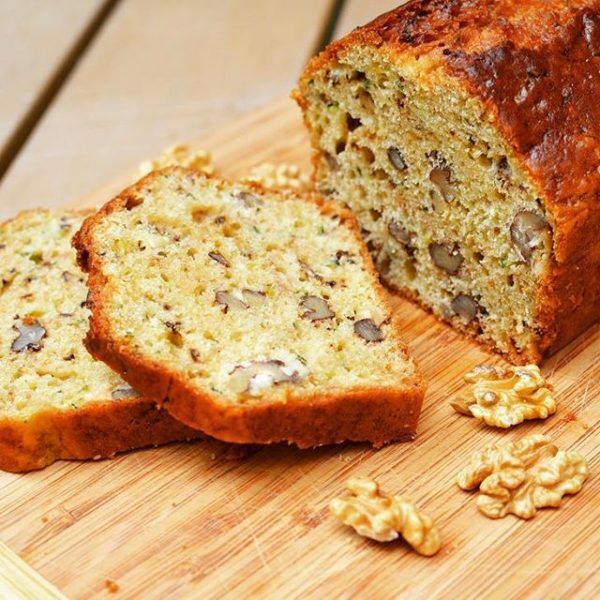 A healthier take on Zucchini-Walnut bread using Greek Yogurt for extra protein! Preheat the oven to 350°F (177°C) and grease a loaf pan. Whisk the oil, maple syrup, egg, vanilla, and yogurt together in a medium bowl until combined. In a large bowl, whisk the flour, baking powder, baking soda, salt, and cinnamon together. Pour the wet ingredients into the dry ingredients and mix with a large wooden spoon or rubber spatula until combined. Avoid overmixing. Fold in the zucchini and walnuts. Remove the bread from the oven and set on a wire rack. Allow to cool completely before slicing and serving. Cover and store leftover bread at room temperature for up to 5 days.